The 155th Meigs County Fair holds true to its roots with activities planned at the historic Grandstand. 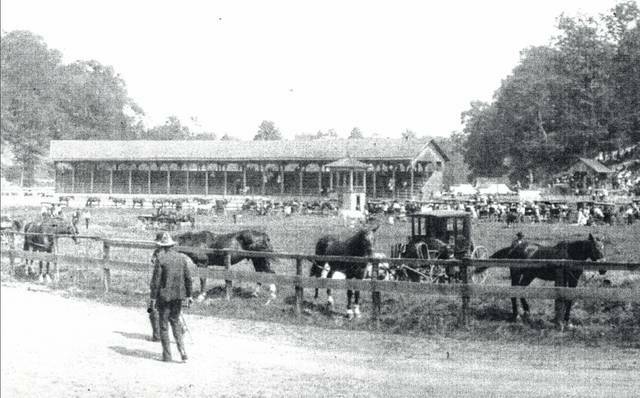 Built in 1890, the Grandstand is an unusual structure that has been built to match the curve in the racetrack. Designed as a half-moon on the first turn in the mid-1880s by Lore Davis, it is the only structure of its type at a fairground in the state of Ohio and is listed on the National Registry of Historic Places. The undated photo shows activities at the Grandstand during the fair. 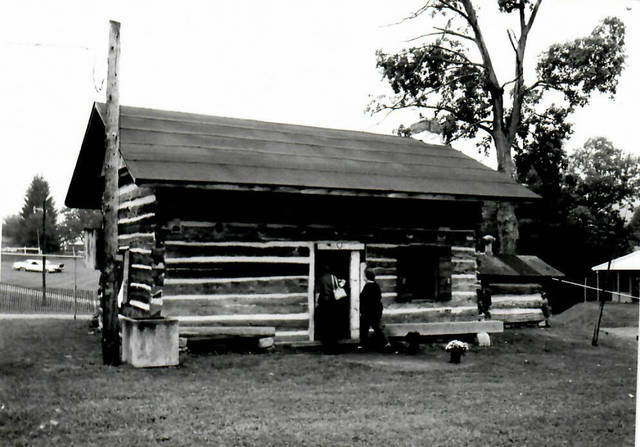 Another piece of history on the Fairgrounds is the Foster-Jenkinson Log Cabin which was relocated to the fairgrounds and reconstructed for the 1987 Fair. The cabin dates back to 1829 when it was built by Edward Foster and James Jenkinson at at top of Jenkinson Hill, north of the former Salisbury School. The cabin is overseen by the Meigs County Historical Society who will have displays and activities in the building during fair week.